There are some pretty big events on the calendar for the year 2012, not least The Queen’s Diamond Jubilee, some mega comic book movies (Avengers Assemble, The Amazing Spider-Man, Dark Knight Rises) and the end of the world in December, but for me the real highlight of 2012 has to be the Olympic Games in London. I’m just waiting for my tickets to arrive for the 400m finals, it’s going to be awesome. If you’re lucky enough to be going to the games just like me, you might want to consider picking up a Union Jack to wave from the stands and a pair of Limited Edition Team GB Oakley Sunglasses. 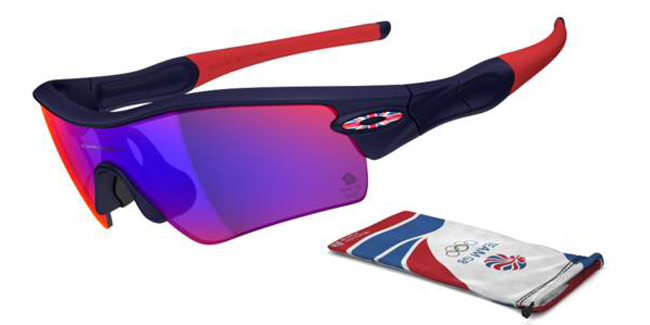 Oakley Team GB Radar Path Sunglasses – London 2012 Olympic Games Limited Edition. These Oakley Radar Path Team GB sunglasses feature the dark blue colour of our favourite athlete’s kits with red ear socks, Red Iridium lenses and the Union Jack in the Oakley Icon on the temples. They also come with a Team GB branded soft cloth bag to store them in when not in use. Me want!!! 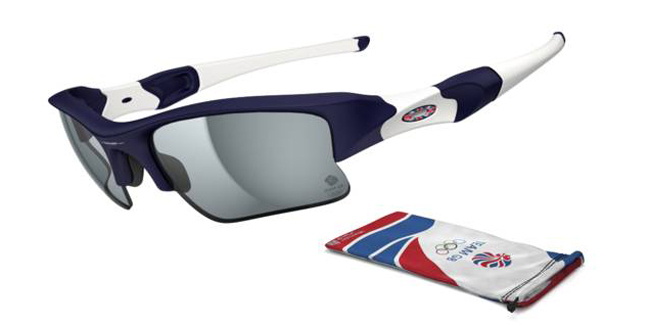 Oakley Team GB Flak Jacket XLJ Sunglasses – London 2012 Olympic Games Limited Edition. The lightweight Oakley Flak Jacket XLJ Team GB sunglasses, also have the blue of our athlete’s team colours, but this time have white highlights on the temples and ear socks. These feature grey polarized lenses, so will block out any glare from reflective surfaces such as water if watching rowing or sailing events, or just after some light rain has fallen on the race track. Just like the Radar Path, these also feature the Union Jack Oakley Icon and the Team GB branded soft cloth bag to store them in when you’re not wearing them… which for me would never. I’ll take both of these sunglasses please. Two Pairs of Designer Sunglasses to be Won!